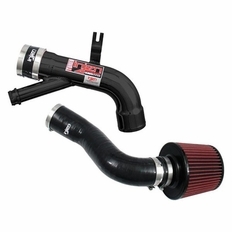 This Injen Cold Air Intake is 50 State street legal. If you are in California, a SMOG technician may ask you for a CARB EO number proving this intake is California emissions approved. The CARB EO Number for this intake is: D-476-4 This EO number will be stamped directly onto your Injen Intake, meaning no hassles at inspection time. The part number on this item is RD3025BLK and it fits 1999-2006 Audi TT , Quattro 180HP Motor Only models.